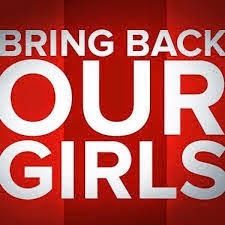 As I write this blog, over 200 Nigerian girls kidnapped by Boko Haram rebels have still not been found or freed. That's not a very encouraging Feel Good Friday story. Yet, in a country with 174 million people, the most populous in Africa, there has to be something to feel good about. Enter the Women's Rights Advancement and Protection Alternative or WRAPA. Right now they are very involved with this situation and are a member of the #BringBackOurGirls team currently holding a meeting with the Chief of Defense Staff in Abuja. Three months ago, they won a $750,000 MacArthur Award for Creative and Effective Institutions. As they state on their Facebook page, their mission is "Actualising the legal rights of women, in private and public through mobilisation, sensitisation and provision of legal and other support services." A wrapa is a one piece cloth worn by Nigerian women and the selection of that acronym was intended to underscore the national outlook and impact of the group. Programs and services provided include legal aid, counseling services, advocacy and skills acquisition. You can read the full article from the MacArthur Foundation and watch a video on the organization here. 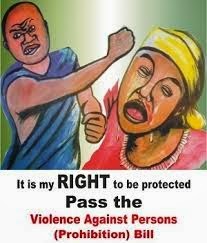 The article explains that the reason the group was chosen as one of the recipients for this award is because, "WRAPA has shown effective leadership in advocating for women’s rights on some of the most controversial and critical issues affecting the lives of Nigerian women, including consent to marriage and a woman’s right to custody after divorce, which is not guaranteed to women in the country. It has successfully represented women in high-profile cases that involved invoking due process in appealing harsh punishments under Sharia law."